I’m coming at you from the studio on a very, very, VERY warm Saturday! I just got back from Disney Springs with the ladies. I had yet to go out there but I will say that I was honestly impressed with the renovation and changes that Disney made. It’s a really cool place to shop and eat. 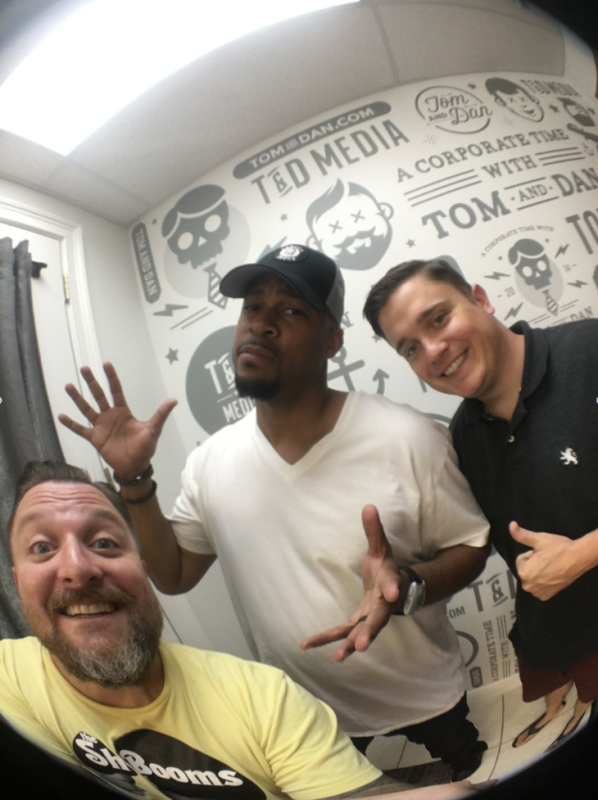 We did a little of both and then I had a little show business that I had to handle – Tom and I bought some of Shannon Burke’s old podcasting gear because with his move to Atlanta, it looks like he’s getting out of the pod-game. I don’t blame him. The ATL is a sweet move and it looks like he finally has the dream market and the dream job that he’s always wanted. Good for him. Say what you will – Shando always lands on his feet. Always. Yesterday was a great show and speaking of Shannon Burke – yesterday was the return of one of our favorite people to provide us with the news while Ross is off for summer break – Cabon Boy or Matt Opferman. We’re massive SBKLIVE fans and it was fantastic to have Matt in to do a more “sports-centric” version of the POS news. -Matt “Cabin Boy” is here! So that’s about it from T&DHQ. I will say that if you haven’t already signed up for our news letter – you might want to do that. We’re really going to put some time and effort into it. WE’ve neglected it up to now but not because we don’t believe in newsletters – we’re just over worked. It will slowly become a great tool to find out all of the official and un-officail T&D events that are going on almost constantly. At least that’s my plan. Have a fantastic Saturday and Tom and I will talk to you Monday!